Tobacco Factory Theatres, located in south Bristol, is housed (surprise, surprise) in a former tobacco processing factory once owned by WD & HO Wills. No smoking allowed though, in what is now one of the UK’s most exciting arts venues, with two performance spaces and a diverse programme of shows, events and workshops for all age groups. We’re talking everything from classical and contemporary drama to international comedy, opera and family shows. Elsewhere within the Tobacco Factory building, there’s an excellent bar and an Indian cafe (just saying). Have you been? Oh but you should! Specially for kids aged 3–6, the story of three people bringing up a gorgeous grizzly Beasty Baby (you may have one of your own?) deep in the forest, is told through actors, puppets and live music. 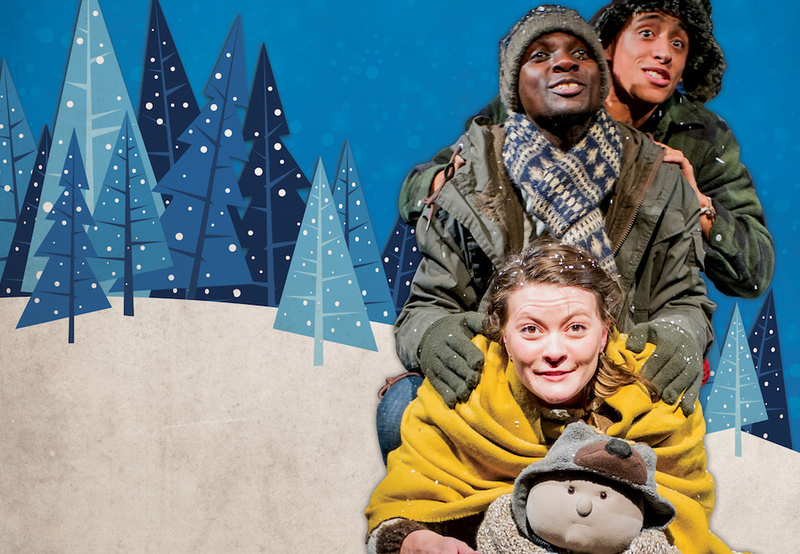 The show runs from Thurs 6 Dec – Sun 6 Jan 2019 at the Spielman Theatre. Relaxed performance Tues 11 Dec. Tickets. 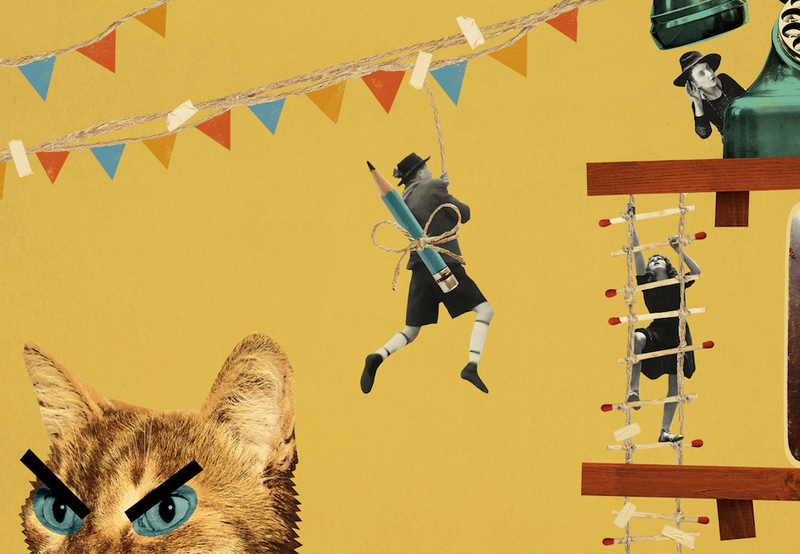 Welcome to the quirky, wonky, miniature world of The Borrowers, living below the floorboards of a large house in Bristol and whose world is turned upside down by the arrival of a family of Human Beans. Suitable for aged 6+ . From Thurs 29 Nov to Sun 20 Jan 2019, with a BSL interpreted show on Fri 14 Dec and relaxed shows on Wed 9 and Thurs 10 Jan 2019. Tickets. 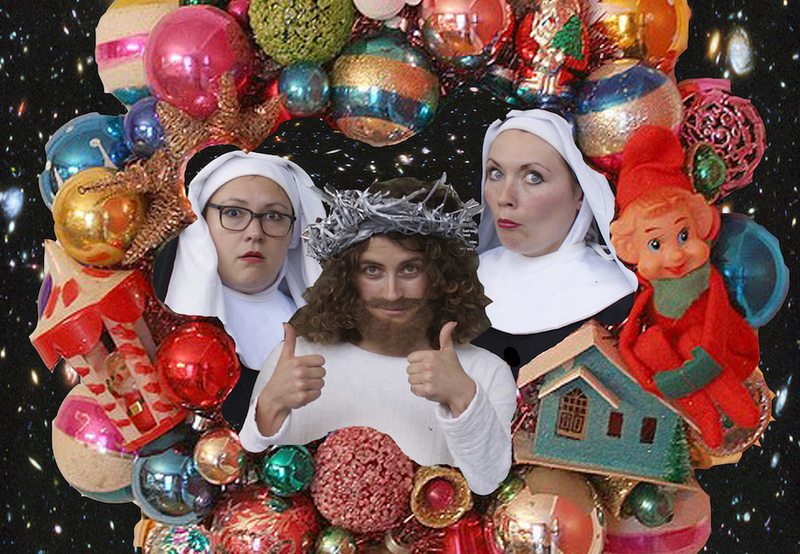 For the first time in Bristol and for adults only: Shesus & the Sistas’s The Gift of Presents. Shesus is your multi-gendered Miss-iah reincarnation. The Sistas are genuine twins. Together, they have come to heal you through comedy, cabaret and a therapy mash up. Suitable 18+ and running from Fri 7 – Sun 30 Dec at the Spielman Theatre. Tickets. Aside from the Theatre’s own bar upstairs, the Tobacco Factory Cafe Bar at street level serves craft beers, wines and a modern British and European menu (live music in the evenings and a weekly Sunday market). Eat before the show for a discount. In the same building, guest chef Meera Sohha serves up yummy Indian food for meat eaters, veggies vegans and gluten-free in the Thali Cafe. Show your ticket and get 20% off. We’ll be giving free tickets away to each of these shows next week – so watch this space! Tobacco Factory Theatres, Raleigh Road, Southville, Bristol, BS3 1TF. Tel 0117 902 0344.